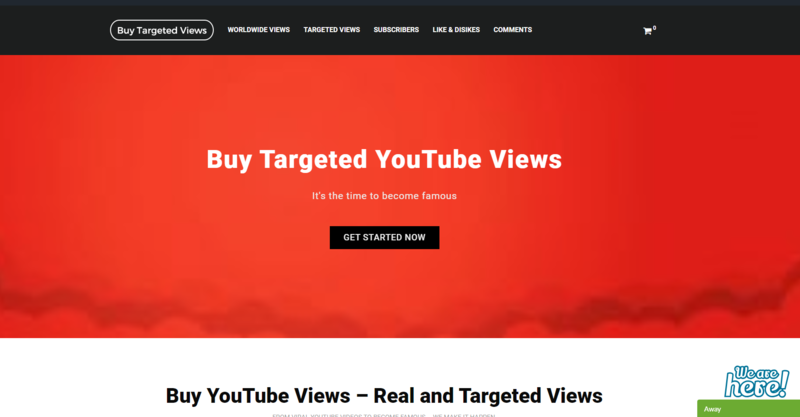 buy-targeted-views.com's web design is very user-friendly, uses eye-catching colors, and is very easily navigated – so you can find their various YouTube services easily. We felt that the site is organized and written in a practical, tasteful way. Compared to the very user-friendly design, the prices are less friendly for their users: the prices for YouTube subscribers, views and comments are very high compared to competitor websites. There are no package deals or any discount option, so as users we definitely would prefer to pay less to other sites for the exact same service. The only service offered at a good price is YouTube likes, which is relatively cheap compared to other sites. You can only pay by credit card. It's very strange that a site operated by a company that seems of high magnitude allows you to pay only by credit card. We would highly recommend them to add more payment options - personally, we would prefer to pay through PayPal and we think many more potential customers would prefer to pay this way as well. Too bad. 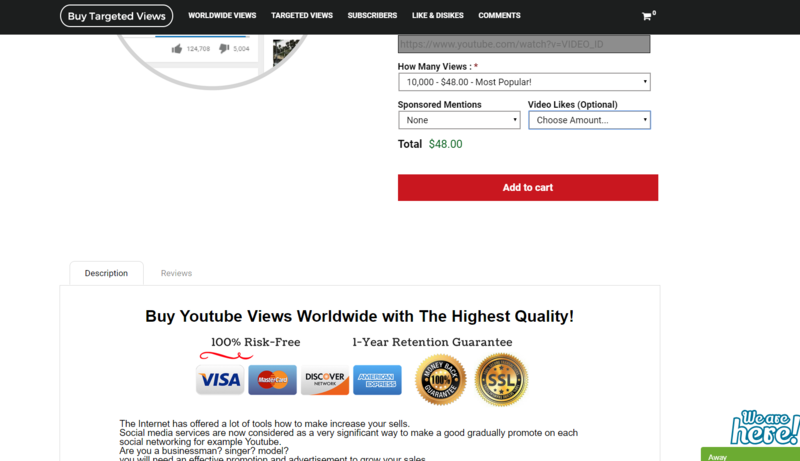 Even though it was possible to pay only by credit card, we tested every kind of YouTube service that buy-targeted-views.com offer. We expected quality service for the price we had to pay, but unfortunately, this was not the case. The likes order came too fast which was very suspicious, and in less than an hour the likes dropped and we never received them again. The subscribers and comments services took much longer to deliver than they said they would. We had to wait for 6 days (we ordered 50 comments and 200 subscribers). For the price they offer, they must improve their services. Big disappointment. As previously mentioned, we expected to receive quality service, but unfortunately, this was not the case and there were a number of drops in the services we have ordered. Also, we've said before that the YouTube likes order came in too fast and in less than an hour the likes dropped and we never received them again. With the subscribers service, we had a small drop during the 6 days we waited for our order to complete. Although they had apologized for the delay and the drop, we will not order from them again. You can contact the support team by phone, email or online chat. Despite the many ways to contact the support team, there is no answer. At first, we sent a message in the online chat. When we realized there was no reply there, we sent an email. We received a response to our email after 3 days. The answers we received were short and did not answer the questions we asked, so we decided to call them – and still got no answer. Again, for a high price, there must be a high service quality and this is not the case. 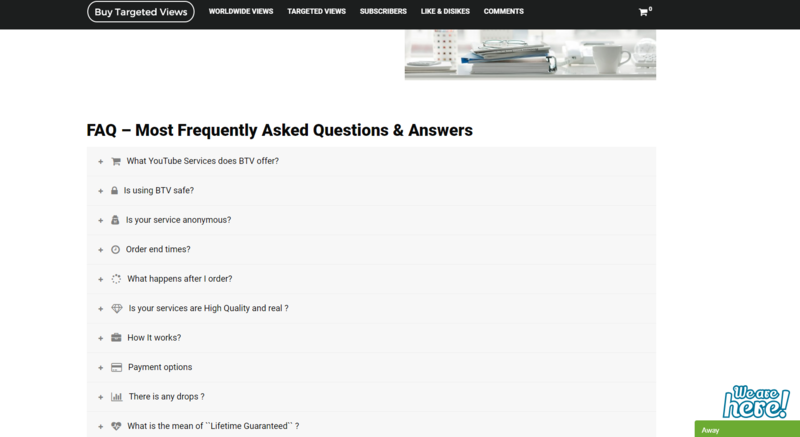 Their contact page has a limited number of questions and answers. There is not enough information about their YouTube services, how they are done, the delivery times etc. I would recommend adding an option to send an email through the site - currently, the option is not user-friendly. buy-targeted-views.com's final score is 35/100. The low score is given due to the high prices of the YouTube services (subscribers, views, and comments), the poor service (too many drops, no answer from the support team), the lack of information and the single payment option.